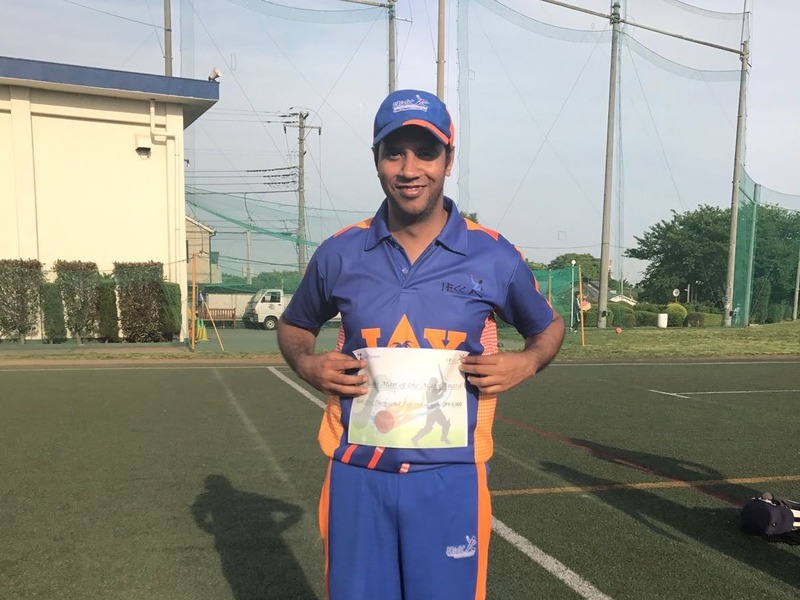 In a tense but low scoring match conducted by neutral umpires, Edogawa Falcons defeated the fancied Lalazar by 4 runs. 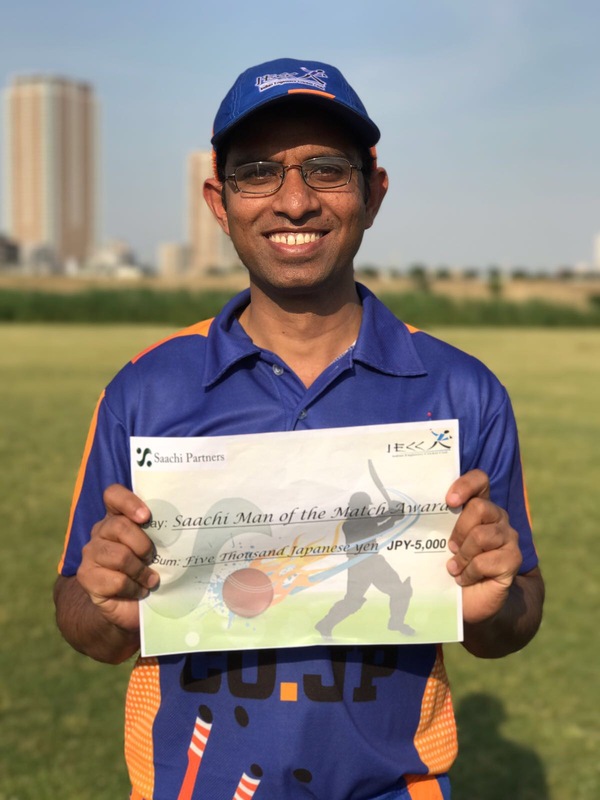 When Lalazar needed only 4 runs to win, Shafiq Virani bowled the last man to seal the match for Falcons. 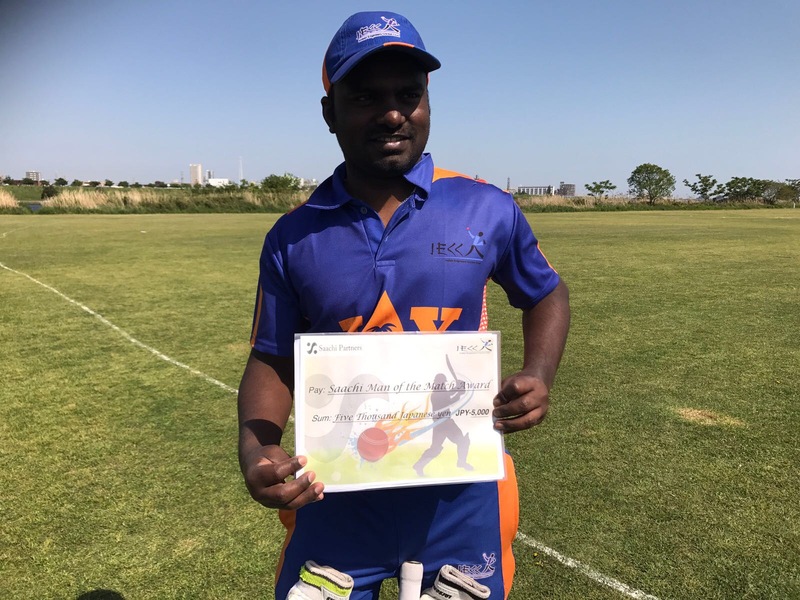 The other semi-final between Friends XI and Tokyo Giants may be awarded to Giants as Friends have expressed their inability to play the final even if they win due to some unspecified reasons. 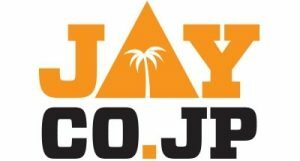 I.E.C.C has squared the Pacific Cup series with a 20 run victory over Shizuoka Kytes on Sunday. A match report is available at www3.ewebcity.com/iecc/. Follow the link “Match Reports”. The final of the series is to be played on Nov. 26. Player statistics have been updated with the last two matches. Follow the link “Statistics” on the revolving links. The Statistics details are not updated yet. Never before had the nation’s sports icons been targeted by the taxmen. So, to ensure that word of their raids does not leak, S C Parija, Director-General, Investigation, Income Tax, says, they gave colourful code names to their operation. Take for example, the code name for the overall operation — “Operation Gentlemen”, although cricket no longer appears to be a gentleman’s game to many now. For the raid on cricketing legend Kapil Dev, the code was “Operation GCI” — Greatest Cricketer of India. For the raids on Navjot Singh Sidhu’s premises in Patiala, the code name used was “Operation OB”. That is easily explained by the fact that Sidhu opened the batting for India in Tests and One-Day Internationals. But the code for the raids on all-rounder Ajay Jadeja easily takes the cake. “Operation Fisherman” is how it went out. Was it because Jadeja did TV spots for Kingfisher, the famous mineral water and beer brand? Or was it that the taxmen thought he was fishing in troubled waters? The latter, says Parija. It’s easy to guess what “Operation OS” stood for? Because it was for the raids on Nikhil Chopra, the off-spinner. But perhaps the most interesting of the codes was reserved for the most famous of the lot — ex-captain Mohammad Azharuddin. “Operation Vidyut” was the code name. Translated into English, the Hindi word “vidyut” means electricity. The connection between Azharuddin and electricity? Easy! Sangeeta Bijlani, his wife, is also known to friends as “Bijli”, which translated into English means electricity! Mohammed Azharuddin: I do not think that any match can be fixed. It has taken me 14 long years to build up some reputation as a player. I cannot think of destroying by playing badly with a deliberate motive. It is true that I dress well. I also like to live in a good style. I have a house in Hyderabad and a flat in Bombay. My accounts are quite clear. The tax authorities are the best judges of that. I do not know if there is betting in cricket, but I know this for certain that none of my teammates bets.